The MacCallister family is legendary in the American frontier. And wherever a MacCallister travels, the legend--and the guns--follow. 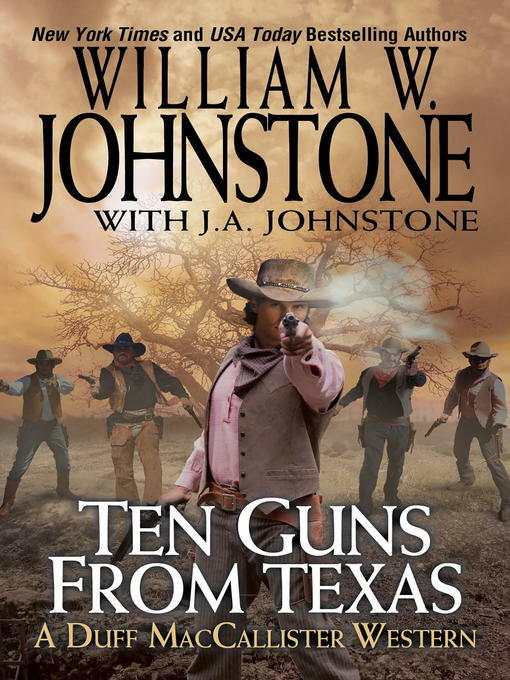 When Duff MacCallister journeys to Texas to deliver 100 head of angus cattle, he finds a land on fire. Unruly, lawless teams of fence cutters, branded Blue Devils by the locals, are rampaging across grazing land and cutting fences in the name of an eastern land company. The ranchers are fighting back, and Duff joins the fray. But the fight leads to Austin, and into an even deadlier mission. The governor's daughter has been kidnapped by Blue Devils. Duff and his partner Elmer are willing to go after her, but they're going to need more men and a lot more firepower. The best the governor can do is three outlaws who once served honorably in war. Now Duff MacCallister is going up again a fanatical, highly trained enemy, riding with gunmen he cannot fully trust. Once the shooting starts, there is no turning back--because Duff and his posse are heading straight into the bloody depths of hell.